Had a bugger of a surf yesterday, I just couldn’t get into a groove. Turned out that I’d lost my front toe-side fin, which explains why every time I tried to turn it on my frontside I got bucked off. At one stage I wiped out then slid down the face of the wave, on MY face, with a veritable waterfall of brine being forcibly injected up my sinuses. Not pleasant. Having examined the board in more detail this morning, I’ve discovered that four out of the eight plugs have cracked, so I’m actually lucky that I didn’t lose more than one fin. 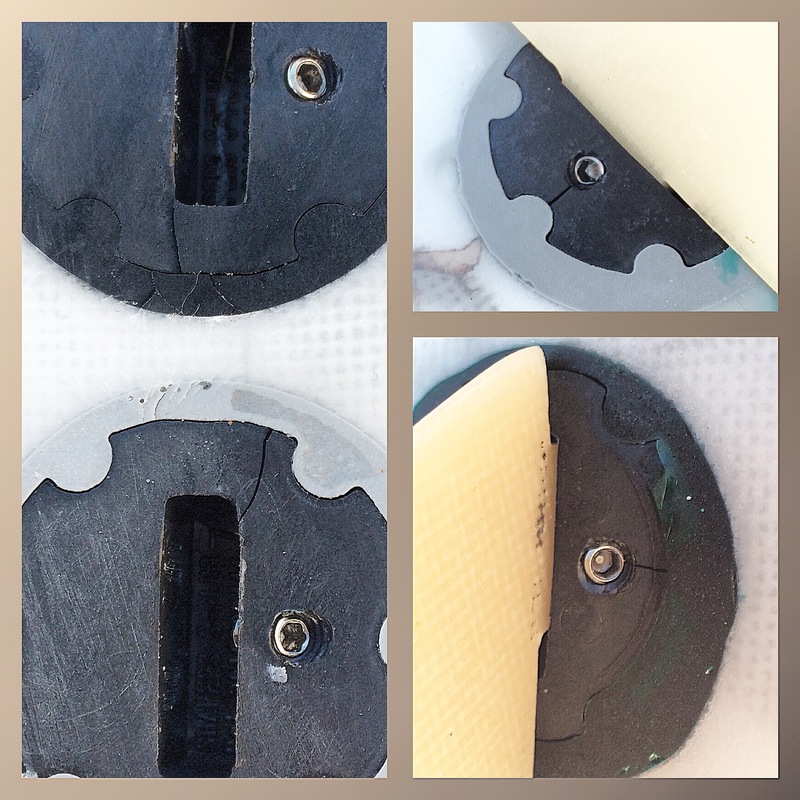 They’re Shaper’s S-Plugs and were a bit of a bugger to install. You can check out my trials and tribulations on this thread on Swaylock’s. Here are a few pictures of the cracked plugs. As you can see, it’s definitely the plugs that have failed, not the installation. 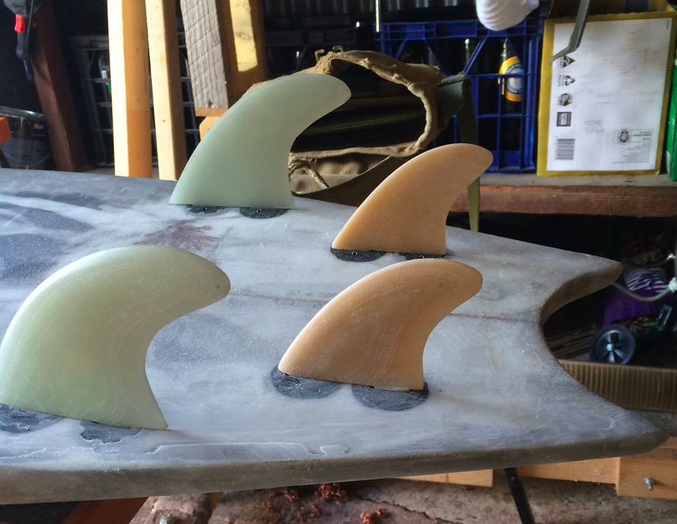 I’m now facing a long stretch back on the single fin until I can get my act together to a) finish my agave board, and b) find time and resources to route out the damaged boxes and retrofit an alternative. Maybe I’ll just go with glass-ons, except that would severely limit my ability to test different setups. I’ve emailed Shapers to let them know about the failure. Still waiting on a reply, but they’ve been pretty responsive in all my dealings with them to date, so we’ll see what comes of it.